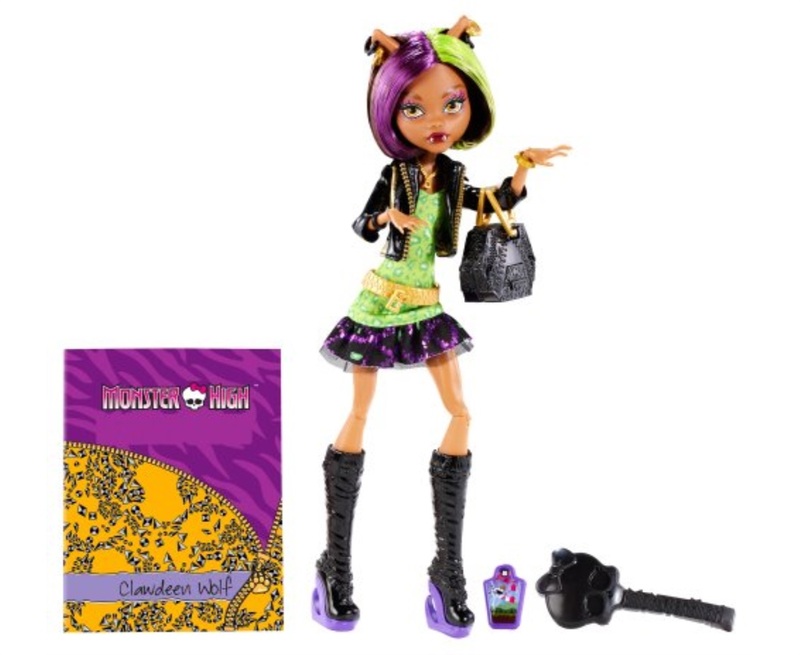 Monster High New Scaremester Catrine DeMew Doll: A new Scaremester is starting at Monster High - and that means new looks! Purr-fectionist Catrine DeMew is the cats meow in her chic Scaris City of Fright-inspired fashion. The fitted dress features a lace hem on the skirt and a matching peplum at the waist. The colours of the print are mirrored in her stylishly streaked hair and her spooktacular accessories. Bangles dangle on her wrists, elaborately detailed ankle booties decorate her feet, a bright blue scarf brightens her pretty neck and a black bow on her tail is a last to-die-for touch. Her matching purple bag will inspire green-eyed envy in her fashionista friends. Catrine DeMew doll comes with a signature-style brush, doll stand, folder and character-specific diary. Doll cannot stand alone.